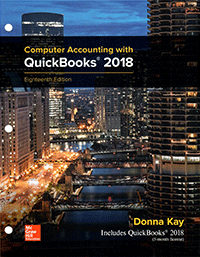 The QuickBooks Fundamentals course provides QuickBooks education and helps candidates pass the QuickBooks Certification or QuickBooks Fundamentals exam. The course does not include the exam. The QuickBooks Fundamentals course introduces you to QuickBooks; Intuit's powerful, easy-to-use accounting software for small business. You learn how to use many of the features available in the desktop version of QuickBooks Pro and Accountant for Windows. The course does not cover QuickBooks Enterprise Solutions, but much of the material works with Enterprise Solutions editions. The course does not cover QuickBooks Online or Mac editions.